The Sole Fitness E98 Light Commercial Elliptical Machine is a perfect well-engineered machine to be used at home or in commercial setting where there is light usage. The increasing popularity of this machine is because of its articulating foot pedals and a heavy 34 pound flywheel. This machine ensures smooth and ergonomically friendly operation giving users a great feel of working out on this machine with comfort and convenience. It includes varied workouts for fitness freaks looking for new challenges and obstacles each time with each workout. Belonging to the same Sole Fitness flagship, the E98 is a little high in price as compared to its peer model Sole Fitness E95 Elliptical however this difference in price is completely justifiable in terms of additional features and functions. Let us have a thorough review of all the specifications of this machine in detail below. The Sole Fitness E98 Elliptical Machine is made with a robust steel frame with a user-friendly structureoffering complete stability and balance during workout. This heavy duty steel 38 millimeter makes way for a strong and durable frame that becomes less vulnerable for wear and tear. The machine offers a competitive incline setting with a completely adjustable ramp angle. Thus you can individually target your lower body muscles by setting the angle from 0 to 30 degrees inclination. Apart from inclination, you can have a warm up and cooling down exercise by adjusting between 20 resistance levels. With only touch of one button, you can have customized cardio workout for yourself with variable positions and resistance levels. This feature is a hallmark of all the Sole Fitness machines known for their flexible functions for exercising. The sharper the ramp angle, the more calories you burn. The E98 also includes a heavy duty flywheel weighing 34 pounds. Even with this heavy high quality structure, the machine has a relatively lighter weight in comparison to its competitors. The Sole E98 is only some pounds heavier than E95 and weighs around 249 pounds. This additional weight however gives more stability and durability to this machine. Measurements of this machine are 27 by 67 by 82 inches depicting the fact that the machine would not take much space. 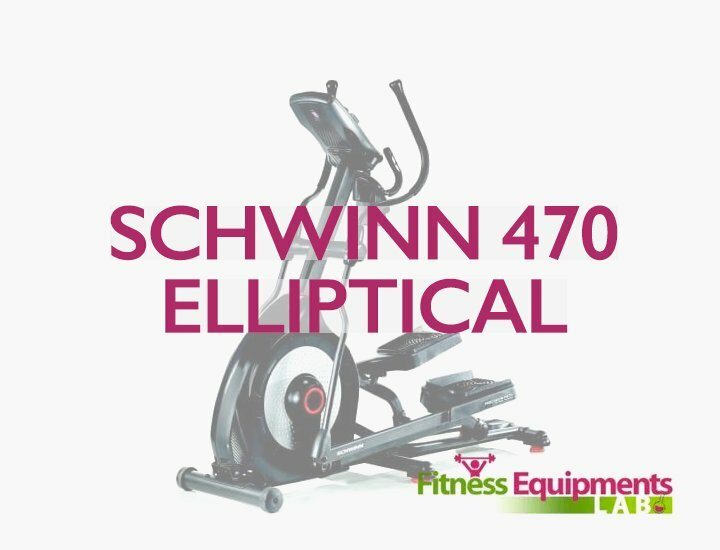 This elliptical machine is capable of handling user weight capacity up to 400 pounds. This machine is backed by lifetime warranty for frame. Sole offers a 5 years warranty on electronics and parts and a two years labor warranty. The Sole Fitness E98 includes two handlebars static and movable. These handlebars are designed for comfort and are ergonomically friendly. The heart rate sensors are installed in the handlebars that enable you to have a reading of your heart rate during workout. It has additional two buttons for adjusting power levels and slope angle. A built-in powerful fan is included in the E98 machine that keeps you cool down during your excessive workouts. The machine also includes a good sound system that is MP3 compatible. During workout, users can enjoy listening to their favorite music. The Sole Fitness E98 has a 20 inch stride length with articulating foot pedals. The stride is suitable for people with tall height as well. Sole understands that each of the users has their own particular style of walk and thus the articulating pedals fit according to your stride. The pedals are designed with two degree inward slope and the machine has adjustable foot beds. All these features make this machine suitable for a good workout for people with different foot shape and sizes. This elliptical machine has an Eddy Current Breaking System. This is the best brake system that gives you a smooth feeling during workout. Resistance is created with the use of magnets to change in an electric current that ensures a smooth riding without use of friction. This machine has 10 programs including 6 standard programs, 2 custom programs and 2 heart rate programs. The Sole Fitness E98 Machine includes a clear LCD console with 9 inch wide display screen and a front drive system. It has blue light in the background which enables clear visibility of data under all conditions. The E98 Elliptical Machine is one of the best elliptical machines in terms of smooth and comfortable operation. The design is absolutely user-friendly with the padded handlebars and adjustable foot pedals. Moreover the magnetic resistance along with the use of heavy duty flywheel makes workout completely smooth. The design also includes space for holding your water bottle thus keeps you hydrated all the time during your workout. Robust high quality durable structure. Ramp inclination of 30 degrees. 9 inch wide clear LCD display. Specially designed adjustable foot pedals with two degree inward slope for maximum comfort and usefulness. Eddy current braking system with 20 different levels of resistances. Heavy duty 34 pounds flywheel. User weight capacity of 400 pounds. Industry beating 5 years warranty on parts and 2 years on labor. Quality of speakers in terms of sound is not so good. This machine has fewer programs in comparison to similarly priced competitors. Elliptical machine reviews suggest that the Sole Fitness E98 Light Commercial Elliptical Machine is a justifiable high-end fitness machine with its excellent features and impressive specifications such as heavy flywheel, wide LCD display, weight capacity, adjustable pedals and lot more. If you are looking for an elliptical machine that gives you good flexibility for different body parts workouts along with a great value for money than this machine is surely an ideal choice for you to buy. It is termed to be a premium choice for home owners.